The last race report I posted focused on my experience at Ironman Oceanside 70.3, which, well, it wasn’t great. I felt ready, I was calm, collected, rested, but it all ended up being for naught. The water wasn’t COLD, but it was cold enough for my poorly insulated body, and I started displaying signs of hypothermia about halfway through the swim. Thankfully I had the presence of mind to swim to a lifeguard, where I was promptly pulled from the water. So… swimming and I haven’t really been on speaking terms since then. After Oceanside, my focus switched to the Belgian Waffle Ride, a pure cycling event, so my entire focus shifted and I didn’t swim at all. 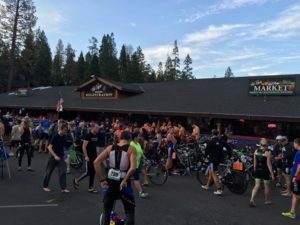 Once that came and went (it was an epic day, race report is coming, promise), it was time to turn my focus back to triathlon training and prep for Bass Lake… but I didn’t want to. There were a few events in my life, the passing of Penny being a key one, that made me miss swim practices, but for the most part, I just didn’t want to do anything but ride my bike. I hardly ran, logging maybe two or three pure runs between Oceanside training and Bass lake, and I mentally did all I could to stay out the water. I told myself I’d conquer it. I had grandiose plans about swimming in the apartment pool a few times a week. I was even going to get into the water at La Jolla Cove every few weeks. But when it came time to put my money where my mouth was, I mostly just made excuses. “I’ll swim at lunch,” would turn into “I’m hungry so I should get food and swim after work” which would morph into “oh, but it’s gloomy out, so it’d be too cold,” or “it’s nice, so the pool would be crowded,” or “maybe I should just go shopping to figure out dinner, but I’ll ride my bike for a bit just to get a workout in.” I told myself I’d use the armbands, or other dry land workouts to get the arms going… but I didn’t. I’d just keep procrastinating until I didn’t have time to do anything. I knew I needed to get in the water, but I did not want to. Of course, it didn’t help that the weather in San Diego before the race had been decidedly un-San Diego-like. Instead of 70s and sunny, it was 60s and cloudy, which is basically deep in the arctic circle for San Diegans. This made the eventual Team Challenge switch from the pool to open water even less fun, since getting out of the cold bay meant you were met with cold air. Wasn’t looking forward to that… I tried to prep myself as best I could equipment wise, picking up a thermal cap, booties, and gloves (amusing digression: talking to the sales guy at Nytro, he suggested starting with just earplugs. Then Tam told him what happened at Oceanside. His response: “Oh, yeah, get all of that stuff.”), but I still had a bigger issue to tackle: the chatter in my head. My mind is one of my worst enemies. I spend a lot of time lost in my thoughts on a day to day basis, so when those thoughts turn negative it can be difficult for me to recover. So before one of our last swim practices of the season, I met up with Coach Linda to go over some of the techniques to put my mind in a better place. We had done this before, but it was high time for a refresher course. It’s funny though, I am well aware of the irrationalness of everything going on in my head, and I can even suppress it when I’m doing almost 50mph on a bicycle, but it’s like any ability I have to reign in my thoughts goes out the window as soon as my toes hit the water. I dunno, maybe I’m drowning in all the thoughts swimming in my punny head: the creatures in the water with me, the temperature, the currents, the swells, the taste, etc… it all adds up to basically a nightmare. Anyway, I needed to get some swims in, so after our refresher course I waded into the water with the team and tried. With, well, with pretty crappy success really. But… there was a glimmer of hope. My last open water swim before Bass Lake was in Glorietta Bay, a nicer patch of water in the shadow of the Coronado Bridge. The walk into the water was gross, it was low tide so we had to wade through thick sea grass filled with little crabs fleeing for their lives, but the water felt nice, not warm, but warmer than Ventura, and I was able to swim a little over 1500 mostly uninterrupted meters. I still wasn’t comfortable with the water, but I was feeling better about Bass Lake, and there was one key difference between the lake and the bay… the former was slated to be fairly warm. Warm enough for me to possibly wear my sleeveless wetsuit. I was still going to wear my booties, though. This year, Tam and I rode up with our couple in crime, John and Genna, or “Johnna” as we call them, the day before the race. This meant a 3am departure, but an early enough arrival to be able to unwind before the team meeting and all that jazz. Despite a pretty hectic night packing the day before (fresh move = all of our stuff scattered about in boxes), we got ourselves ready and made the trip in good time. We arrived, did a quick course drive through, scouted the lake out—surprised by how full it was (more on that later)—and chatted with some TC folks who also arrived early. We even had some time to check in and drop off our stuff before the team meeting. Once the meeting wrapped up it was time for a practice swim. I still wasn’t sure which wetsuit I was going to use, so I decided to try my sleeveless for the practice swim. After a quick 500 or so swim in the water, my decision was made. The water was nice, cool enough to be refreshing against the ~90-degree air, but warm enough to feel comfortable, so sleeveless it was. The practice swim was good, water felt nice, wetsuit was comfortable, and no weird surges or currents, so I was starting to feel better about the race. Once we cleared out, it was time to head back to the hotel for the Pasta Party… where they decided to try something new, and not let us eat. Finally, it was early to bed, all of us eager to get the race underway. I was a bit confused by the sound of the alarm, I didn’t remember changing it, but oh well. It was time to get up, walk Milo, and then get ready for work. Only, the bed felt weird, and when I opened my eyes, things didn’t look right. Then I remembered, it was race morning, and I was in the Tanaya Lodge, not at home during a weekday. This is what many would consider a “red flag”, waking up confused typically means you were awoken during REM sleep, a recipe for a groggy day and loads of the java if at work. A bad omen to say the least… I couldn’t help but think back to Silverman. Getting the areas all set. Transition, as usual, was dominated by TC orange. Despite our team trekking all the way from San Diego, our chapter of Team Challenge rolls out in force for this race. We had our own little section of transition, where I basically looked on with exhausted envy as everyone excitedly setup their transition and happily chatted with each other. I was just a teensy bit jealous that basically the entire city slept better than I did the night before, but I put on my best “I’m super awake and excited too!” face and got my area setup. I’ve gotten so used to setting up my transition area that it seems too easy, so I spent a good amount of time going over the foggy checklist in my head. After quadruple checking my area, I wandered over and got my body marked with my number and age… and then promptly rubbed it off with sunblock, so I had to go get marked again. Then it was time to grab “breakfast”, a banana and a half of a PB&J sandwich, and then squeeze into my wetsuit before heading down to the swim start. Once the gang was all set, Linda proceeded to herd us cats down to the water so we could take a few team pictures before things got really crazy. Last year the lake was some 18 or so feet LOWER, meaning there was a nice beach where we started and finished. This year the beach was gone, so we gathered by the docks for our pictures, and to scout out the course. The low water levels of previous years meant the Olympic course was 2 loops, with swimmers coming back on shore to run around some cones before going back into the water for lap 2. This year it was one, you started between the docks, swam out and made a right at the end, followed orange buoys to the green turnaround buoy, followed another set of orange buoys back toward another green buoy, and then swam in to the steps to exit the water. There was a mixture of nervousness amongst the athletes over how far it seemed, and excitement because it wasn’t 2 loops. I was a bit in both camps… I was just glad I didn’t have to count in my sleepy state. 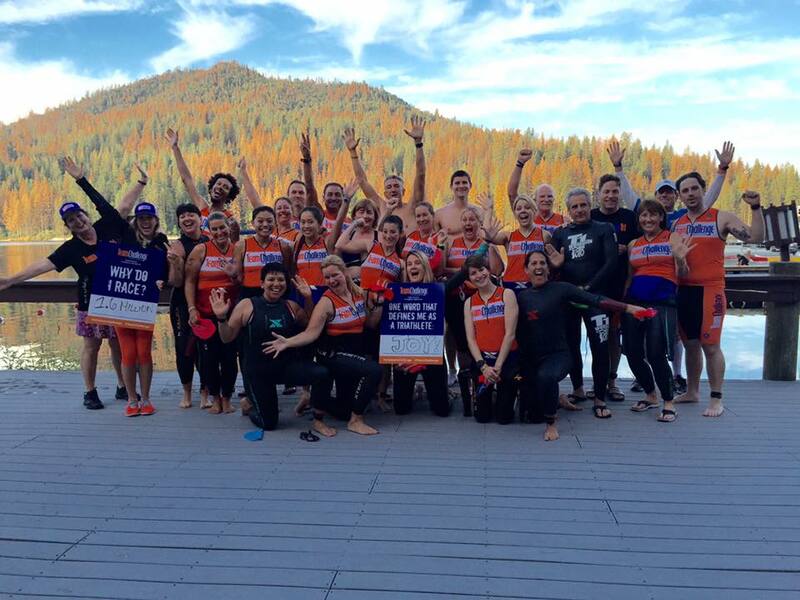 First off were the sprinters—as was the case last year—so we stood by and cheered them on as they tackled the course. Then before I knew it, the Olympic racers were staging up to get their waves under way. Just before Linda walked over to see the sprinters come in so she could take pictures, she turned to me and gave me a stern “stay out of your head!” I smiled and nodded (while watching and trying to evade the spider on the ground making a mad dash for my foot), and started to make my way toward the water. We were given some time to warm up, so I took a minute to turn my arms for a few just to feel the water, and pee in it of course. I was in the second wave this year, so I was immediately on deck and once the first wave was off I found a nice quiet spot at the back of the group, to the far right of everyone. The announcer gave the countdown, and it was finally time to swim. First goal, get clear of the feet and find my line. I held back a little as everyone sprinted for position, and I quickly found myself with a clean lane in front of me. I sighted off of one of the docked boats because it jutted just a little bit further out than the rest, so I didn’t want to smack into it. Once I was clear, I used the fact I breathe to my right to make sure I was going straight, as well as looking for the unique boat at the very end of the dock. Once I saw it, I knew it was time to swing a right, line up the orange buoys to my left shoulder, and head for the green turnaround buoy. Second goal, settle into a comfortable pace and rhythm. I knew I wasn’t going to set the world on fire, and I wasn’t trying to. 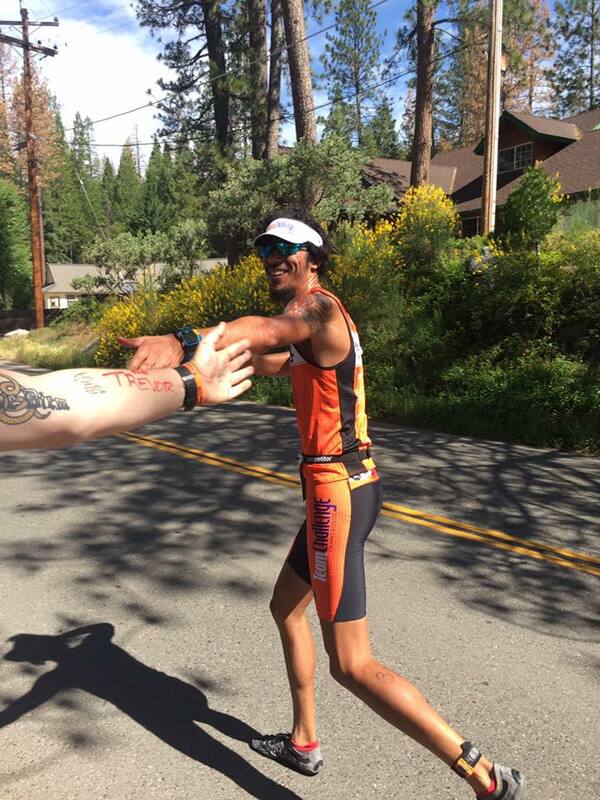 I just wanted to get my arms turning at a pace I could sustain without draining me for the rest of the race. After I made the turn from the dock, I could feel my arms complaining about the work, clearly not used to all this swimming stuff, so I backed off a bit and held my glide a little longer. I figured once I warmed up the soreness would go away, and although it took a little longer than I’d like, I was right. I was feeling comfortable, and things were flowing nicely with my breathe-breathe-sight pattern. Third goal, stay out of my head. I focused on what I could control, my pace, my head position, my form, making sure I was going the right direction, etc. I ignored what I couldn’t, people bumping into me or swimming over me, the spit that was clinging to the side of my mouth that wouldn’t go away, the grass and twigs I would occasionally hit with my hands. I thought about how the water felt, how clean it was compared to the bay, how nice and warm it was. I thought about Penny. How she would orbit me when she was excited. How endlessly happy she was. How she made me laugh at her goofiness. How she fell into a swimming pool once. I thought about Tam. How she was doing this with NO training! How excited I was for the wedding. How much I love her. I thought about my team. Team Challenge. I thought about the people we race for, friends we’ve made over the years, friends we’re lucky to share our lives with. I let my mind drift from random thoughts, to how much I was actually enjoying being in the water. Fourth goal, finish the swim. I rounded the green buoy to begin the journey back, lifted my head to sight, and saw exactly no buoys. I did see a ton of glare and some splashing though. I swam a few strokes in what I hoped was the right direction, sighted, and again, a ton of glare, but no buoys. I swam a few Tarzan style strokes trying to see if I could spot something, anything to sight off of… the dock, the boat at the end, a random buoy, but I couldn’t see anything other than the line of swimmers. So, I just decided to keep them to my left shoulder, and got under way, once again hoping we were all going in the right direction. I stayed a little wide, opting for a clean line and maybe a slightly longer swim over being trampled, but I kept the stream of swimmers close. When I was confident I was at least going in the same direction as everyone else, regardless of if it was the right way, I went back to letting my mind wander. I thought some more about how much I was enjoying the fresh water. Watching the rays of sunlight twinkle and dance beneath me, tasting the subtly sweet almost floral water, not being concerned or tense because of the temperatures. I could grow to actually enjoy this. Then I saw the boat at the end of the dock. Just to its right, I saw the turn buoy for the sprinters, and just beyond it the green buoy to turn in. I had swum I don’t know how long essentially blind, but I was at the home stretch. I lined up the final buoy, and just before I made the turn I saw a familiar stroke go by. I was pretty sure it was Tam, so I followed her to the steps where sure enough, we finished together, again. Also there were Pia and Genna, who I thought I saw in the water (Pia had a moment, Genna swam over to help). I climbed up out of the water, chuckling as Linda heckled me about my booties, and made my way up to transition with the rest of the gang. At the end of the day, my swim was still slow, 43:51, including the walk up to transition. Good for 161 out of 180 racers. Yup, slow, but I finished dammit, and I enjoyed myself while I was out there. Once into transition, I was faced with a conundrum. I had to pee. The only problem is there are no porta potties inside the transition area… they’re actually pretty far away. So, I had a choice, I could grab my bike, exit transition, go pee, and then carry on with the bike course… but that would screw up my bike time. 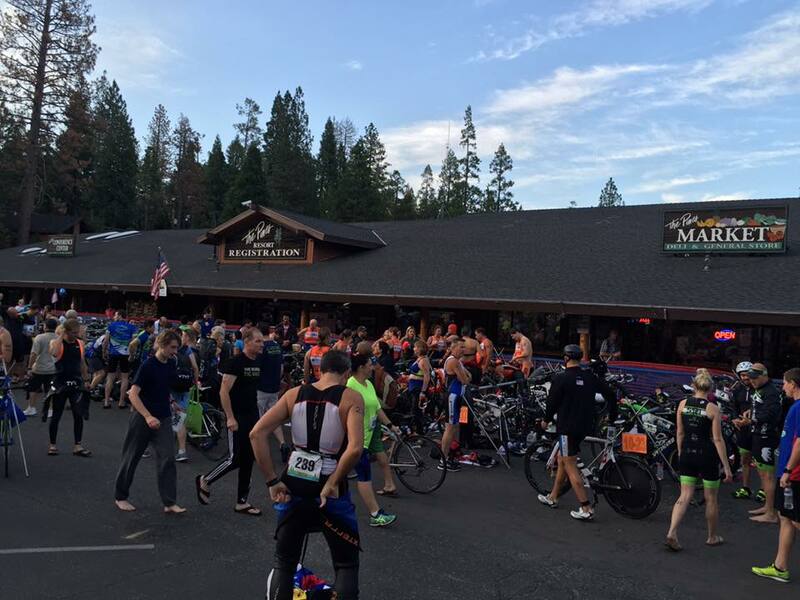 I could take off my timing chip, jog out of transition to pee, jog back, grab my bike, and head out onto the course… but that would take a while and seemed like a lot of work. Or, I could just stand there and pee in my wetsuit. Guess which option I settled on? Relieved, I wrenched myself out of my wetsuit, got my polka dot socks on (climber! ), put on my skull cap to keep my hair in check, snapped on my helmet, heart rate monitor, and shoes, ate a Cliff Gel, grabbed my bike, and strolled to the bike out. I mounted my trusty steed, and started my way up the first challenge, that stupid transition wall. I was ready for it, my bike fitness was pretty good, and this was my strong suit, so I was prepared to hammer up this dumb hill and get the show on the road. But OF COURSE something would seem wrong right away—it seriously felt like it took everything I had to ride up that damn hill. I looked down and for as hard as it felt to turn over the pedals, I was putting barely any power down. Granted, the road is steep, peaking at 12%, but things didn’t feel right. Yea, so for all the talk of me being able to deal with the mind games on the bike, I was starting to freak out a little. How’s that for irony? I finally got to the top, mind in full “YOU’RE GONNA DO TERRIBLE” mode, and made the right to began to tackle the series of rollers that make up the first 10 or so miles of the course. I shifted my attention to focusing on things I could control, like sticking to the plan I had for the course. When going downhill I wanted to keep my power in zone 3, which was enough to carry a good speed by didn’t tax me too much, allowing me to save my legs for the climbs. When the road would pitch up I checked the grade, if it was more than 5%, steep enough to minimize any real aero gains, I hopped up off the aero bars so I could breathe deeper and recruit more muscle groups, if it was lower than 5%, I stayed down. On the climbs I pushed my power levels up into zone 5, sometimes even scraping the zone’s upper end. At Bass Lake, if you’re not going up, you’re going down, so I knew after the climbs I’d be able to recover on the downhills that followed. Focusing on the race plan helped calm me down a little bit, but I still felt a bunch weaker than normal. As a dull burn started to creep into my legs at lower power levels than I was used to, my mind began shifting to a feeling of massive regret over how little I practiced swimming. At this point I assumed the lack of swim fitness meant I was drained more than I wanted while on the bike, so I was really lamenting my various procrastinations. Still, I pressed on, trying to ride the line between lactic acid overload and a good pace, but the negative questions were slowly beginning to flood my mind. Would I put down the time I was hoping for? Would I crack during the bike leg? Would I have enough juice to actually run off the bike? Weirdly, I felt more comfortable in the water than I did at this point in the race. I was actually so lost in my negative thoughts I almost missed the landmark for the sharp right at the bottom of one of the larger descents. Quick hands and a dollop of sheer luck got me up out of aero and grabbing enough brake to actually make the turn when I spotted the volunteers. A quick down and up, followed by another right by the water station and it was time to really climb. This year I had a rough idea of their respective lengths, so I could push a bit harder than my last time out. Plus, I wouldn’t be caught out by a particularly sharp climb that comes on the back of a fast descent into a corner. I was still freaking out about my legs, so I kept taking swigs of my Skratch mix (Matcha, with a little caffeine kick), and tried to focus on moving forward. I was trying to remain optimistic that my legs would eventually wake up, but I was growing increasingly nervous and frustrated. Still, for all my brain struggles I was passing rider after rider, some on the downhills, many on the climbs. Some seemed surprised to see me pass them at the speeds I was going, others were too focused on their own suffering to really notice. I spotted quite a few of my TC peeps, shouting words of encouragement to keep them going, with many cheering me on as I sped by. It was nice seeing everyone on course, it helped quiet the noise in my head for a few minutes when I’d see them. One of the guys who seemed a bit lost in his own suffering was a fellow on one of the climbs who seemed… unhappy. He was swearing up a storm, and standing next to his bike looking rather disgusted. He eventually mounted it as I passed, and came around me just as I crested the top of the hill. I kept my distance as I followed him down the short descent and into a nice sharp right that lead to the next climb… which made for a nice pucker moment. I hit the brakes hard, but didn’t see the loose surface so all of a sudden my rear wheel locked up causing me to run wide in the turn. Thankfully I managed to stay upright, but there was a nice little spike in my heartrate. Anyway, once we hit the next climb he again started cursing up a storm again, and just jumped up out of the saddle and started hammering up the hill. I just kind of watched all this going down, glad my day wasn’t as bad as his, before eventually going around him and up over the climb. The next section is part of the reason I love this course so much, a twisty ribbon of fairly beat up tarmac that snakes along the backside of the lake. Despite the sketchy nature of the pavement, which made it dangerous to stay to the far right, the road is an absolute hoot. Deeply cambered turns you can basically dive into, some extremely tight hairpins, and a few false flats to mess with your perception. I was waiting for this part of the ride, so I tucked down on my aero bars and got on the gas. I was still having a mental tug of war over the state of my legs, but the hysterically fun road in front of me eased the pain a bit. And then I bonked… sort of. 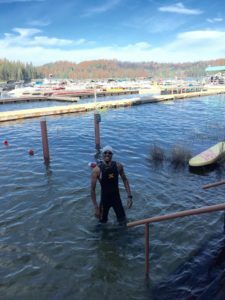 While I was initially panicking about the swim sapping energy from my legs, I didn’t think about the fact the swim was sapping energy from my body, period. My metabolism had kicked into overdrive and any and all calories in my body basically evaporated. One moment I was feeling fine, and then all of a sudden I could barely turn the pedals… like, at all. I had reeled in another rider, but I couldn’t find the energy to pull around him. My legs didn’t want to respond, I couldn’t even really lift myself out of the saddle. I had nothing left. I contemplated just soft pedaling the rest of the way to just get through the ride, I thought about getting off the bike and chucking it into the lake, I saw my goal of improving my bike split rapidly fading away… but then I remembered I had a few hundred calories of Mocha flavored Cliff gel in my jersey pocket. I took one out, bit open the top (kudos to Cliff for reducing litter and designing the package in a way so the top doesn’t have to be spit out separately), and gulped it down. I took a quick swig from my water bottle, and within seconds I could feel my legs waking up. I told you my metabolism had kicked into hyperdrive. After what felt like an eternity of bonk, I was able to get back up to speed and continue reeling in other riders, including a lady who rudely didn’t let me complete my pass. Rules state that if you are being overtaken, as soon as the other rider’s front wheel passes yours, the onus is on you to let them complete the pass, even if that means dropping back. She was out of the saddle hammering away up a hill, and when I came around she tried to keep me from passing. A genuinely jerk move, which made me more than a bit annoyed considering I had to ride in the middle of an open road for an extended period of time. Anyway, a few more hills, and some more encouragement to a fellow TC rider, and I was making the right down to transition. I was not very happy with my ride, I basically bonked half way, and it felt like I couldn’t put anything through the pedals for the bulk of the ride so I wasn’t very optimistic about my time. It would turn out that I was being overly hard on myself, I finished a tough bike course in 1:20:34 at an average of 18.5mph, good for 20th overall out of 180 entrants. Despite how hard of a time I was having on the bike, I was flying. I can’t help but kick myself when I think about how much faster I could’ve been had my swim fitness been better… I can hear Coaches Skip and Linda “I told you so”-ing now. Now, though, it was time to run. Last year I made it down the chute past transition and a few hundred meters onto the course before the pain in my ankle was too much and I had to walk. This year, I was hell bent on running the full course. I didn’t care about pace, position in my age group, time… none of that mattered. I wanted to just run for the entirety of the “just under” 10K distance of the course. Once again I took my sweet time in transition, changing socks since I would be running in my funky Vibram Seeya LS toe shoes, and chugging down another gel and as much Skratch as I could stomach before heading out. My first goal was to establish a comfortable pace without cramping. While I have mentioned the small amount of swimming and running previously, I should probably note how little I’ve actually run. Since Oceanside training, I’ve run maybe twice, with a max distance of around 5K, so there was a good chance this run was going to be painful. I started out fairly easy, jogging at a comfortable pace as I got my legs under me. I did encounter some abdominal pains, precursors to a stitch, but I held steady and they faded. Still, I was surprised to be able to jog with no cramping issues, at all. The next goal was to stay hydrated and cool. Despite Bass Lake sitting at around 3,500’ and being on Yosemite’s doorstep, it was going to be a hot day so keeping my water intake up would be important. Thankfully the run course is impressively well supported, with water stations at the start/Olympic turnaround, at around the mid-point of the loop, and at the far turnaround. This made it easy to grab a cup of water while running so I could take a few swigs, and dump the rest on my head. I walked each water station on my first loop to grab a drink and dump the water on my head, but then I started to feel a bit queasy, so I decided to lay off the water until my stomach settled. Oh, and Coach Skip was also out on course with cups of ice for all the runners. I grabbed a cup my first time through and dumped it on my head, but it all promptly fell on the ground, so I figured the ice wasn’t for me. Still, he was a life saver to many, with a number of racers telling the race director they need to have ice for the race going forward. Despite me not partaking in the ice, it was still nice to see him out there while I was running. I was feeling pretty good physically, no cramps, energy levels were good, I felt well hydrated and my stomach was settling, and no complaints from my feet or muscles, so I decided to bump the pace up a touch and shoot for around 10 minutes a mile. That’s not particularly fast for me, but this is a hilly course, and I hadn’t been running much, so I wanted to set a goal I could meet without too much trouble. I kept a loose eye on my pace on my Garmin, adjusting up or down as needed, but I made it a point to not push up hills. When I started I had quite a few runners go by me, probably a bit overzealous being fresh off the bike, but as the run wore on I started to reel them back in as they cracked from the initial effort. It does take quite a bit of mental effort to keep your pace in check once you get off the bike. Things were going well, I had settled into my goal pace and I felt like I could sustain it for hours, so my mindset shifted from worrying about pacing to just having a good time. I cracked jokes with a few cars I saw (“Hey, can I get a lift?” to which they responded “No way! You’re too strong for a lift!”), was suitably impressed by a volunteer’s one handed catch when I tossed her an empty cup, cheered on the TC peeps I saw (including John, who was finally able to actually start the race, but he was hurting on the run), made sure to high five Tam as she ran by, and just tried to enjoy myself. I was having a good run, and most importantly, I was running! I crested the last hill for the finish, gave the row of TC peeps who finished already high fives, and set my sights on the finish. The day before, in the midst of trying to starve us all to death, Kat shared the story of her first triathlon. She mentioned how instead of sprinting for the finish, slow down and savor it. So I did. 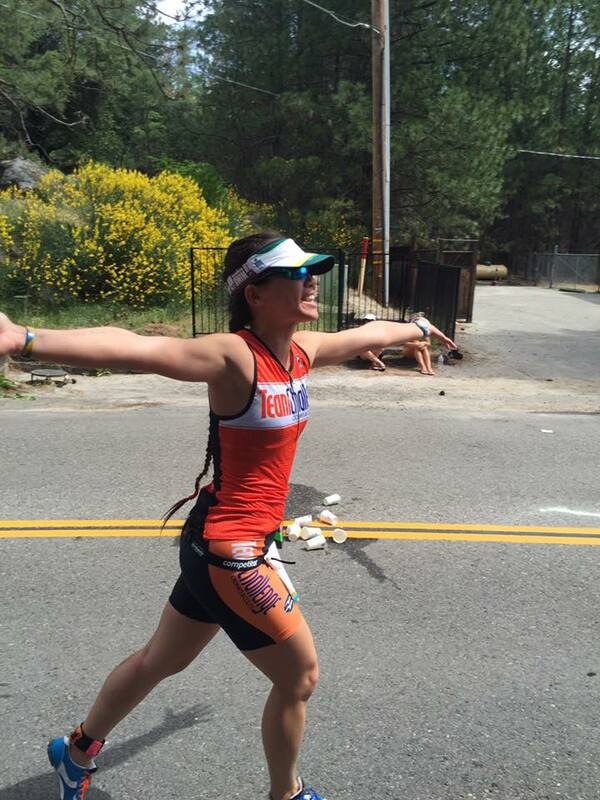 I pulled my pace back a little bit, and just basked in the emotion of finishing a tough race. I finished, I swam, I rode, I ran, and I was still able to smile and enjoy it. A lot of people are so cooked when they finish it’s hard to really comprehend the achievement, but thankfully I was able to do so. The official time on the clock was 3:16:22, almost a full 30 minutes faster than last year, and good for 99th overall. My run split was 1:01:29, with an average pace of 10:15, good for 89th place. I was pleased with my times, and despite feeling dog tired before the race even started, I felt great. After it was done and dusted, I checked my official time and then hit the food tent for some recovery fuel. The hot dog I opted for was good, but the pasta salad was not. Once I had my grub and my water, I headed over to where my TC peeps were and started cheering on the finishers, dishing out high fives and making tunnels for them to run through. It’s always great to see the smiles on people’s faces when they see the mob of orange cheering them on like they’re competing in the Olympics or something. It’s one of my favorite parts of the day. As we stood around cheering and chatting, I talked a bit with Sally on how her race went, and she mentioned how she didn’t think about a challenge of the course that’s a bit underestimated. The altitude. I didn’t think about it either… because I completely forgot! Bass Lake isn’t high enough to really take your breath away, but high enough to notice and have an impact on your body. Suddenly, some of my struggles on the bike made sense. Sure, my energy levels were low from the swim, but that wouldn’t cause my muscles to start burning at power levels I’m usually comfortable at. The lack of O2 in the air, however, that absolutely would. Suddenly I felt better about how the bike went… can’t believe I forgot about that though. Team Challenge has a tradition, not only do we wait for the last TC finisher and run him/her in, we also tend to stick around to cheer in the last finisher overall. These races are hard, and we know how lonely it can be out there, especially when you’re on your own at the back of the pack. So after we ran our final finisher, Bev, in, we stuck around cheering and forming tunnels for the remainder of the racers. One of the racers let us know she had one more lap, but we made her run through the tunnel anyway before she turned around for her second lap. We continued cheering and tunneling, but gradually began to get concerned about her, considering they were beginning to tear down the course and it had been some time since she came though. Sally and I decided we’d head out on course to make sure she was ok, so jogged to transition, grabbed our bikes, and headed out on the run course. Sally was the first to find her, just inside a little offshoot from the main course, still a few miles out from the finish. She was exhausted, walking with a young spectator who was there for morale support, but she wasn’t defeated. As we rode with her, the race officials cleaning up the course behind us, she told us about how her lodging arrangements fell through at the last minute, which forced her to drive through the night to get here on basically no sleep. She was clearly hurting, but she was determined to finish, Sally and I paced her, along with her young friend, riding along beside her and chatting, just about stuff, nothing in particular, but doing our best to ensure she made it to the finish line. As we approached the finish, the place was a ghost town. There was no one around, no volunteers, no fans, not even the announcer. They had started the awards announcements so everyone had migrated to the podium area to see who won what and cheering for the winners. We slowed down so she could run through the finish solo, and congratulated her as she broke down in tears. It had been one of the hardest days of her life, but it was over. There was a small group of people under a tent just past the finish who saw her come through and were cheering, but there was no announcement, no people with medals, nothing. I couldn’t let her finish and just be ignored, so I hopped off my bike and ran up to the announcer to let him know the last athlete was in. I think deep down I was kind of expecting a half-hearted response, but her finish suddenly took priority and he frantically started trying to find out her name so he could announce her to the crowd, who cheered as if she won the race. A number of her teammates ran over to greet her, along with our own Coach Skip, and she continued to hug her friends and cry. I just smiled at the scene, before setting my bike down and walking over to the TC tent to be with my fiancé and friends. Those three extra miles apparently pushed my body over the edge. While I had felt great when I finished, I suddenly felt fatigued, extremely hungry, and about ready to just pass out. 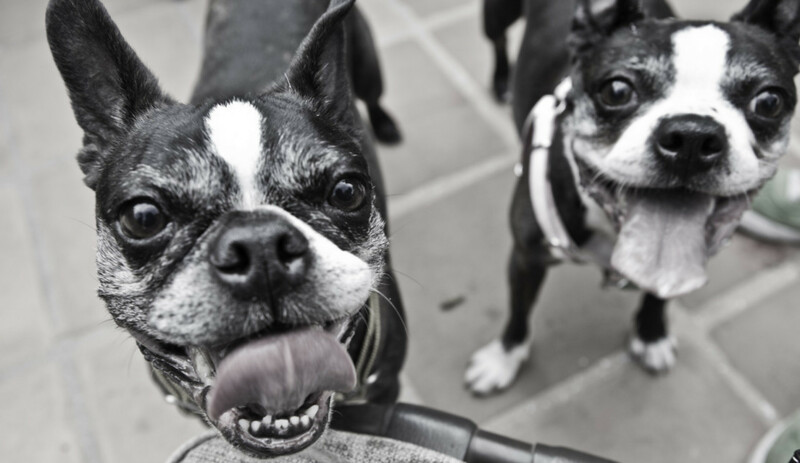 But they were three of the most rewarding miles of my triathlete life. Triathlon is a decidedly individual sport, you’re out there, just you, your suffering, and the clock. But sometimes we’re given a chance to help others finish a race, be it with a few words of morale support, stopping to help someone fix a flat, walking with them as they gather their composure, or riding along helping to keep them company as they walk toward the finish. These are the kind of things that supersede the competitiveness of not just triathlon, but sport in general—the chance to just be human and support someone in a time of need. Sure you may lose time stopping or slowing, but that feeling of helping easily overshadows the few minutes added on to your finish time. One of the reasons I, and so many other athletes, admire Team Challenge is because while we are sure to have fun, we not only make sure those around us have fun like we do, we make sure that everyone enjoys their experience and leaves the race with the fondest of memories, even if their day didn’t go as planned. I adore the Bass Lake course. The water is nice—warm, free of heavy swells, chop, and currents, with the added bonus of not tasting horrific. The bike course is a challenging but rewardingly spectacular mix of downhill romps, difficult climbs, and hysterically fun twists and turns against a simply spectacular backdrop. The run course is hilly and tough, yet well stocked with water stations, lined with fans cheering you on, and covered by enough shade to keep you from melting in the heat. I can’t wait to do it again next year, but with a few changes. First, I’m taking my Cervélo R3 road bike, instead of my Cannondale Slice tri bike I rode this year. Why? On anything but a climb, the Slice is faster, hands down. I can maintain higher speeds using less energy than on the R3. However, the R3 is better at just about everything else. It climbs better, accelerates faster, handles better, and is more comfortable to get out of the saddle to crank up a short climb. Typically aero bikes rule even on “hilly” courses, but Bass Lake is fairly unique. Aside from it being classically hilly, there are a lot of times where you’re accelerating, like when coming out of corners or going over the top of a hill. I’m sure I won’t reach the top speeds I can hit while going downhill on the Slice, but it’s possible I can make up time by climbing faster and maintaining higher speeds through the corners. There’s really nothing to lose, so I figure I’ll just try it out and see what’s what. Secondly, I’m going to spend more time in the water to make sure my legs and body are good for the bike after the swim. I have access to a lap pool in the apartment complex, so the plan is to get into it frequently so I can get my swim fitness to where it needs to be. Will that actually happen? I don’t know, but I’m certainly going to make the effort. Next, I’m going to actually put in some time running. Maybe… I don’t really plan on crushing the run course, my goal is to really crush the bike course, but I’d like to break the 3hr mark so a good run is important. That said, I don’t want to injure myself, so that will be priority number 1. Finally, I’m going to actually attempt to move more swiftly in my transitions. I took around 5 minutes a piece, which is slow by any stretch. I wasn’t in any particular rush, I didn’t really need to do a flying mount, or speed through changing into my running shoes, so I took my sweet time. If I shave just a few minutes to get them down to “average” levels, I could probably trim close to 5 minutes off of my overall time… free time if you will. Oh, and one more change… I’ll be married! Ok, so maybe that’s not directly related to my performance, but it’s a change, so, hey!